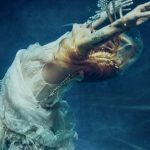 After Avril performed “Head Above Water” for the very first time on Jimmy Kimmel LIVE! (air date still TBA), she signed some autographs and took pictures with fans. Avril wore a similar gorgeous, angelic white dress that we will get to see in the music video for the song. Fans who were at the live taping, described the song as “strong vocals, gospel sounding”. 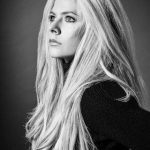 Avril took to her official website with a massive update: a letter to her fans outlining what she’s been through, and where she’s going. 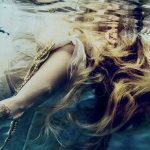 We can expect the first single, “Head Above Water” to be released on September 19! I’m so excited to finally be able to announce the first single off my new album along with its release date. Five years have gone by since I released my last album. I spent the last few years at home sick fighting Lyme Disease. Those were the worst years of my life as I went through both physical and emotional battles. I was able to turn that fight into music I’m really proud of. I wrote songs in my bed and on the couch and recorded there mostly as well. Words and lyrics that were so true to my experience came pouring out of me effortlessly. Truly… by keeping my spirits up, having goals to reach and a purpose to live for, my music helped to heal me and keep me alive. Thank you for waiting so patiently as I fought through and still continue to fight, the battle of my lifetime. The first song I am choosing to release is called “Head Above Water.” It is also the first song I wrote from my bed during one of the scariest moments of my life. I had accepted death and could feel my body shutting down. 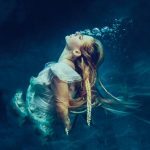 I felt like I was drowning. Like I was going under water and I just needed to come up for air. Like I was in a river being pulled in a current. Unable to breathe. Praying to God for Him to help me just keep my head above the water. To help me see through the stormy weather. I grew closer to Him. My mother held me. In her arms, I wrote the first song that I am releasing to tell my story. I later met a beautiful soul, Travis Clark, and we sat down at the piano and sculpted the rest of the song. Then I took it to the genius, Stephan Moccio and love what he did to the music.